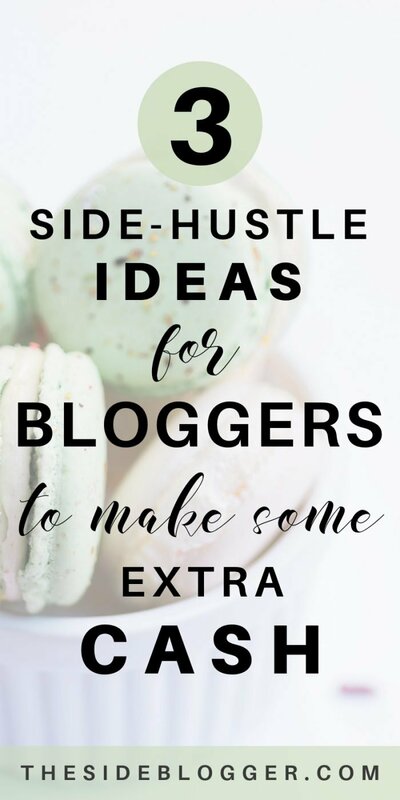 Before a blogger makes a full-time income with their blog alone, they make it with something else: with a full-time job, or a part-time job, and in a lot of cases, by working as a freelancer. Blogging takes time to take off. But in the meantime, you can start freelancing as soon as today! Often, when I talk to fellow newbie bloggers about freelancing, they start wondering if they have monetizable skillsets. The good news is: if you’re a blogger, you have not one but at the very least, several skill sets. And most of these can be marketed as a service you’re looking to provide as a freelancer. This can potentially help you earn anywhere from a few hundred extra bucks per month to a full-time income, depending on how much time and effort you put in it. 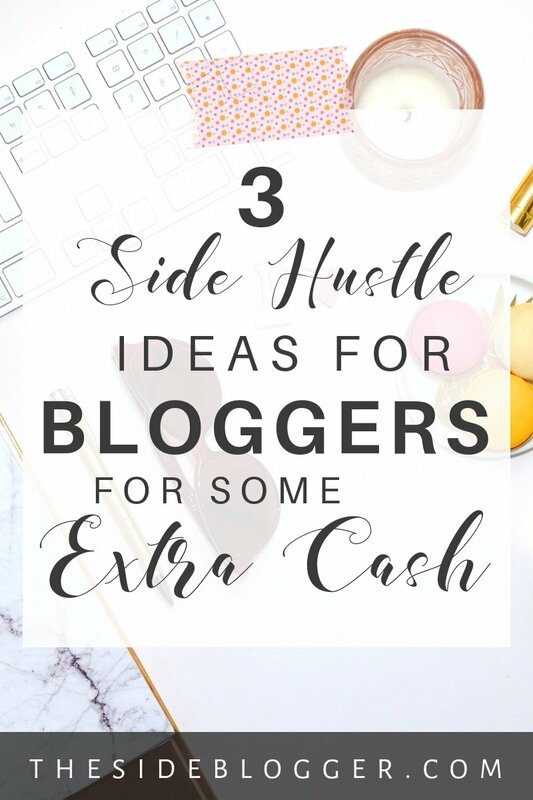 Let’s look at three ways in which you can start earning some extra cash on the side. Start Writing and Making Money on Medium. Like, duh! If you’re a blogger, writing is the one thing you must do and do it well. Without writing, you have no blog. So why not turn this skill into something that makes you money? You can do this in your own time, remotely, and depending on your skills and experiences and who you work with, you can start making some side-income as soon as today! Medium is a place for storytellers. And if you love writing, you should be on Medium because hey, everyone’s on Medium these days! Starting from your next door neighbor to Matthew McConaughey to Hillary Clinton… yeah. Bottom line is: Medium already has a solid reader-base. This makes getting your content read easy. You don’t have to spend any time promoting your articles as you would the posts on your own blog. Medium does that for you. Now, where does making-money come into all this? You see, Medium has a thing called the Partner Program. Basically, if you sign up for their partner program, you can make money off of the stories you write! How much money you make depends on several factors such as: how good of a writer you are, if what you write is a popular topic, how many followers you have, how much engagement you get in your stories, how often you publish a story, etc. When I first signed up for the Partner Program some six months ago, I made $11.23 on my first month. Six months later, I made a little over $160. And I only write 3-5 articles per month — a number far below what’s advised. Most Medium savvy people will tell you that you should publish at least 3 stories on Medium per week for a decent side-income. So, if you love writing (because 2-3 article per week on top of writing on your self-hosted blog means A LOT OF WRITING! ), then you should definitely consider Medium as a viable way to get your voice out there and make some money in the process. And wait, I haven’t even told you the best part yet! Writing on Medium is not like freelancing. You do not need to chase down clients or worry about meeting deadlines (aside from the ones you set for yourself) or style guides. You get to be yourself on this platform, AND, you can make money. If you’re a blogger or thinking of starting a blog, you should be reading ProBlogger. Period. I know ProBlogger is my potential rival as both ProBlogger and The Side Blogger are essentially two blogs about blogging, but hey, I give credit when credit is due. And above all, I want YOU, yes you guys who’re trying to get better at blogging, to read ProBlogger because it’s a great source for bloggers at all levels. What makes ProBlogger a little extra cooler is that it has a job board. Basically, a lot of small and medium-sized companies who’re looking for bloggers post these gigs on ProBlogger job board. They have new jobs posted on the daily. If you’re interested in making money as a writer or blogger on the side, this is a pretty good way to find some cool gigs. Another way you can find writing gigs is by going to Indeed or other job boards. In the keywords, type in the following three words: writer freelance remote. This will show you the freelance, remote writing gigs (unless you’re looking to work full-time or on location). When you want something, you should ask for it. That’s basically how the pitching game works. Now, personally, I don’t have a lot of experience at cold-pitching, but I know those who’ve had great success. The way I understand it, you should check out companies and brands you like and believe in, and see if there’s a need for a blog (or bloggers. Sometimes companies have blogs, but they’re poorly written, meaning, there’s a chance for you!) Craft a cold-pitch that’s hard to pass up, and then send that email. (Sometimes people do cold calls as opposed to cold emails, depends on what you’re most comfortable with). Like I said, this method isn’t something I have a lot of experience with, but there’s a Facebook group that’s all about freelance writing — the Six Figure Freelancers. And yes, as the name suggests, these guys are all high-achievers. So, if you’re just wanting to make a few hundred to a few thousand bucks, you may wonder if it’d be a good fit for you. Personally, I think anyone can benefit from what Alex and Jenny teach. How far you’ll take their teaching will have to be scaled depending on how much money you want to make. Alex and Jenny of the Six Figure Freelancers have a membership site called the Six Figure Academy, where you can find all kinds of resources for being a successful freelancer. They especially focus on the pitching part of freelancing and share templates for pitches that work. For less than 100 bucks a month, this course is full of amazing value. Also, if you don’t want to keep paying every month, you can just join for one or two months, and get access to all of their content. I guarantee that you’ll learn tons! And no, I’m not getting paid by Alex and Jenny to spread the word. I’ve received tremendous value just from their Facebook group and by being a member for a month, so I know that you will benefit from them too. There are some online magazines and blogs that pay people to write for them. Each has its own sets of rules and rates. You can find a list of such online journals/magazines and blogs here. It appears to be a somewhat dated list, so not sure if all the listed blogs still exist/pay, but quite a few of them still do! There are some bloggers out there who’re afraid of anything computer related. If you, on the other hand, are tech-savvy, know your way around WordPress, then this can be a lucrative side hustle for you. Did you set up your own blog? If so, then you know how to do this thing, and you can offer this as a service! Just make sure to be truthful when you market your services. For example, setting up a website is not the same as being a developer. If you do not know how to code, you should be perfectly clear about that, and price your services accordingly. Be honest about exactly what you’re offering. Make a separate page on your blog and list the services you’re offering. teaching your client how to use WordPress, etc. If you know how to do any of these, you should add them to your WordPress setup package and offer them as a bundle. As for pricing, just for setting up a WordPress site can be anywhere from $250 – over a thousand bucks. Personally, I charge over 1K for setup services. But you see, I have a couple of years’ experience under my belt. I’m also a developer, I know how to code, I understand WordPress, and so all of that makes me more of a high-end developer than someone who is just offering WordPress setup. So, if you don’t know HTML or CSS or PHP, and you’re offering just the setup, I’d start pricing at $250-$350, and then scale it as your skills grow, and you start getting more and more confident with your quality of work. Another thing you can offer to busy bloggers is this: monthly maintenance. A lot of people out there do not have the time to maintain their own websites, and they’d rather hire someone to do it for them. You can easily offer basic maintenance such as updating plugins, scheduling posts, etc. for a small monthly fee. FYI: If you need some help along the way, I have a detailed post on how to set up WordPress blogs. Typically, I suggest offering services that are somehow related to one another. For example, you can combine graphic design with branding. Or Website setup with SEO and monthly maintenance. General admin services can include email management, bookkeeping, or other miscellaneous duties. It’s like marketing anything, really. Use social media, word of mouth, family and friends and neighbors. Have a “services” page set up on your blog (if this is a side hustle), or you can create a completely new website. For example, I have this blog, but I offer my web design and development services via a whole different website. I do want to share one method of getting clients that have worked wonders for me. This works especially well if you’re looking for smaller gigs that you can do on the side. Facebook Groups. Yes, you can find clients via Facebook groups. You’ll be surprised how often people post on groups about needing help with their blogs or websites or businesses. When I first started my web design/development gig, I was getting all my clients exclusively from Facebook groups. Try to find groups where your ideal clients hang. For example, if you want to work with fellow bloggers, you should look for blogging groups. Also, I’ve found it useful to join some entrepreneurial groups. To find groups, search for these keywords on Facebook’s search box (make sure to look for groups): business, biz, blog, blogging, blogger, entrepreneur, solopreneur, VA, etc. I find that the more engaging a community is, the higher the chances of landing gigs from them. Typically, for closed groups (which most quality groups are) you cannot see for yourself how engaging the members are without having joined the groups first. But one way to tell is by looking at the numbers. How many members does a group have? I’d suggest looking for groups that have at least a thousand group members. To look for jobs, I usually start by searching relevant keywords inside a group’s search box. For example, if someone’s looking for help setting up their website, they’ll likely have the word website there. For WordPress setups or maintenance services, I search for the keywords “website”, WordPress”, “Web”. “VA”, “Graphics”, “Design”, “Graphic Design”, “help”, “SMM”, “Social Media”, “Pinterest”, etc. Often potential clients want to see a portfolio — a body of work. For demonstrable work, this part isn’t all that difficult. For example, you can easily create a writing portfolio by using your own blog posts or Medium articles. 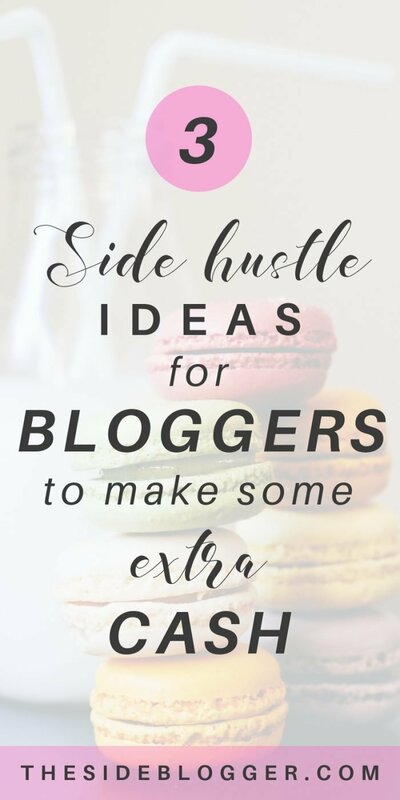 If you have ever guest posted (which I strongly recommend that you do, it generates traffic for your own blog as well as makes you look like an authority in a certain field), you can use them as part of your portfolio too. For website setups, graphic design, etc. you can use your existing work. Did you set up your own site? Use that as part of your portfolio. Do you make your own Pinterest graphics? Showcase those on your graphic design portfolio. 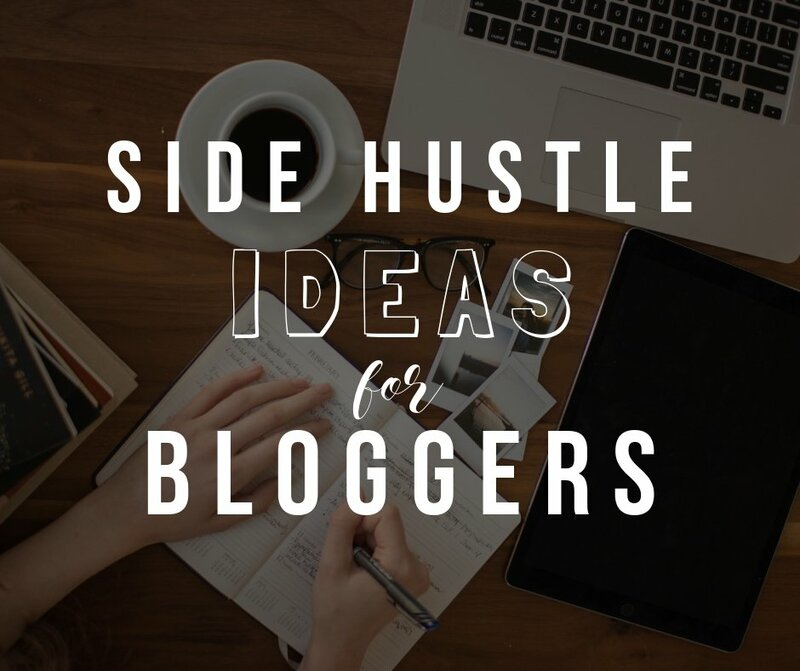 You see, being a blogger already puts you in a much better spot as a beginner freelancer. When I first started my web design/development gig, I didn’t have any clients. So, I used my blog and a few other templates that I made, not for clients, but just for myself. Typically, most people do not care whether or not you have a huge list of past clients. At least not the kind of clients we’re talking about (fellow bloggers and small business owners). As long as you’re confident in your skills and you’re the kind of person who delivers, you should be fine and just two or three samples of work would be sufficient. Even to this day, when I show my work to a potential client, I do not overwhelm them with a bunch of work, I only show them my best and most relevant samples, two or three of them at most. And I’ve never had anyone ask me to show them more work. If you plan on offering these services on the side only, you can just set up a services page on your existing blog and roll with it. If you’re a bit more ambitious, you can set up a new website. However, I wouldn’t worry about it too much. If you do not have the budget for a brand new website for your services, it’s totally fine, and you don’t really need one when you’re just starting off. I have a website, but honestly, often when I first connect with a potential client, I share live links to websites I’ve built instead of my business website. It totally works. What I do recommend, however, is that you at least set up a Facebook page, and when you start getting clients, ask them to leave testimonials on your Facebook page. This is free and takes no time at all to set one up. You can also list your services on your Facebook page, and essentially, it works just like your business website. Another thing that I recommend is creating a PDF of services with samples of (or links to) your work. Often, you can just send a potential client this PDF to get the conversation started. 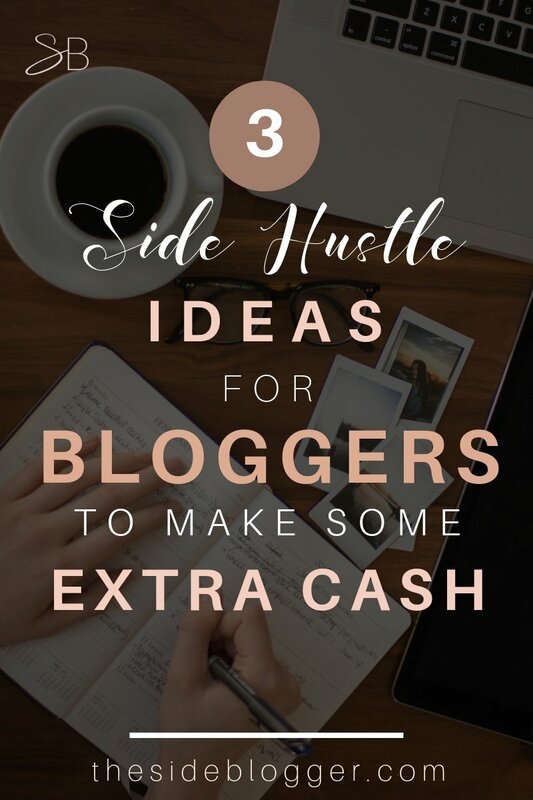 As you can see, even though I said “three side-hustles”, the term VA pretty much covers every imaginable service that can be offered remotely to fellow bloggers and entrepreneurs. 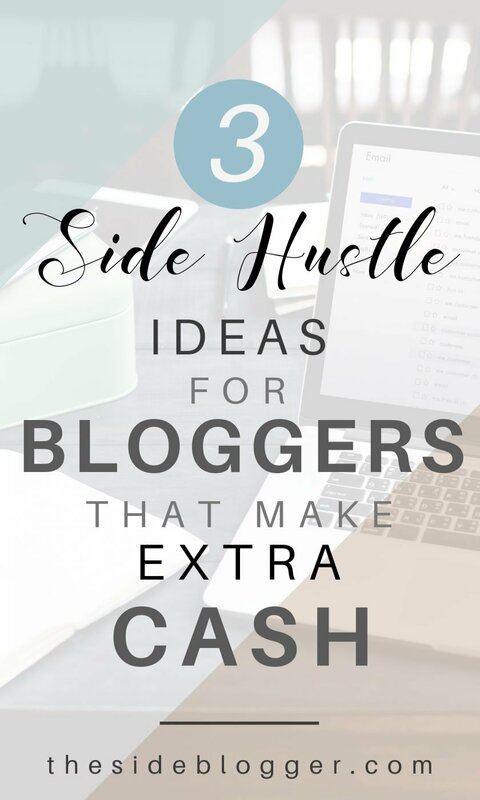 If you’ve been wondering how to make some cash on the side, I hope this post has been helpful to you. If you have questions or comments or ideas you think I should include, feel free to leave a comment. Thank you for this thorough article. I had heard of Virtual Assisting and its perks but this was the first time I’d heard of Medium and ProBlogger. I truly appreciate the background research and facts you presented, as well as, the presentation of the most important facts for bloggers as far as pros and cons for each.